When my son was younger, he used to have issues with playgrounds with sand. Even if he had socks and shoes on, as soon as the sand got into his shoes, he would get distressed and immediately rip his shoes off. So he went barefoot at those kinds of parks all that summer. Up until earlier this year, he would meltdown if he got even a drop of water on his clothes. He would immediately have to take them all off. And speaking of clothes, I no longer know which shirts are which size because I've had to remove the tags. The tags bothered him. He would also freeze at the doorways of noisy gymnasiums, turn away, and get completely disorganized. It's only recently that he's been able to enter the gym, while firmly hugging his elbows or hands to his ears. And then there's the chewing. The constant chewing on everything. He also spins. A lot. Although he only spins clockwise, as an occupational therapist once pointed out to me. Counterclockwise was simply too distressing for him. 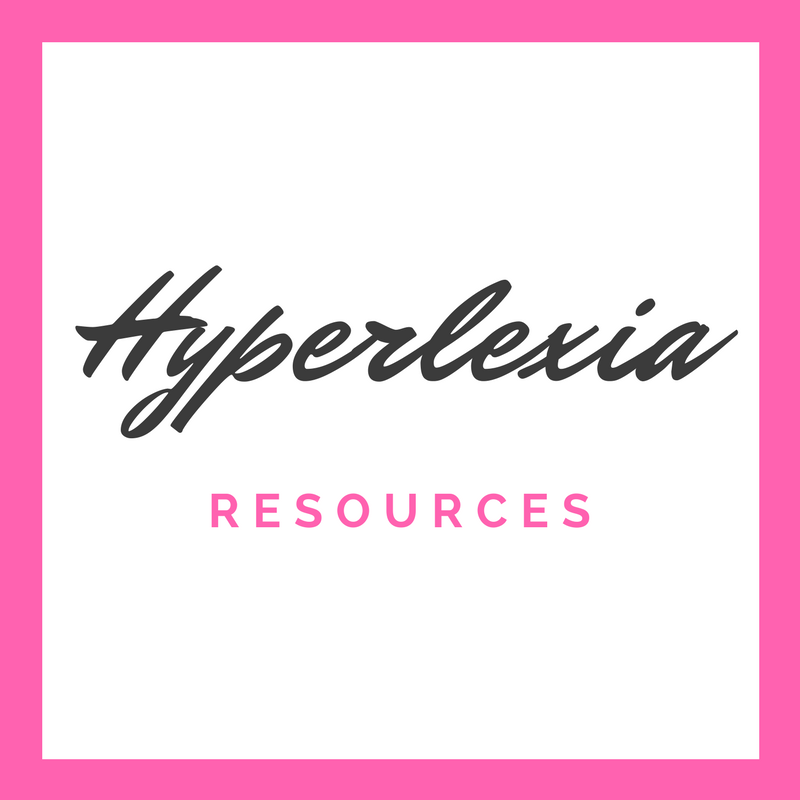 All of these are examples of sensory issues. 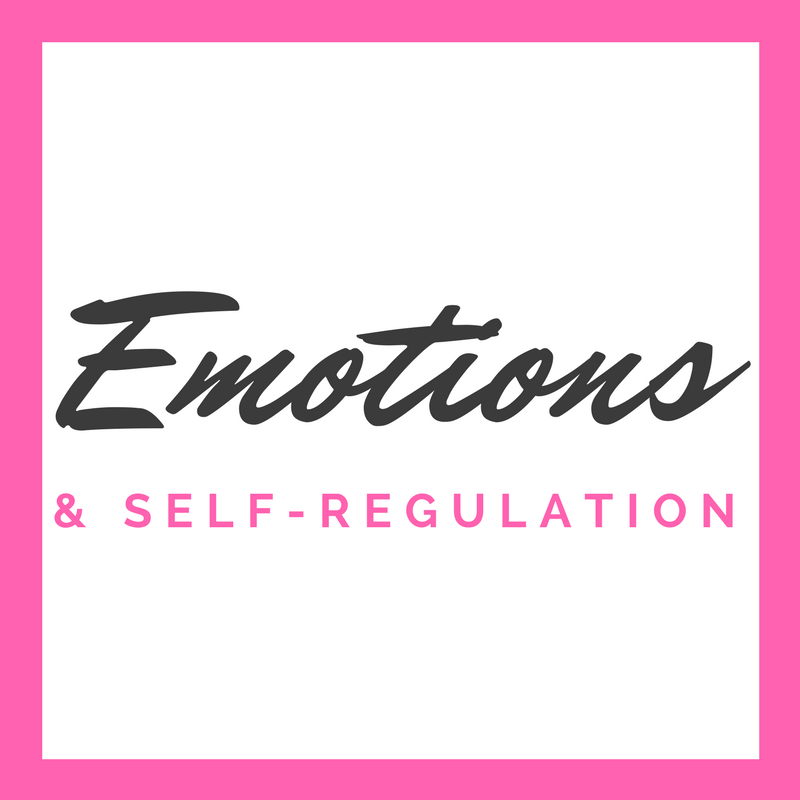 If you find yourself relating to any of these, then it is likely that your child might have sensory issues as well. 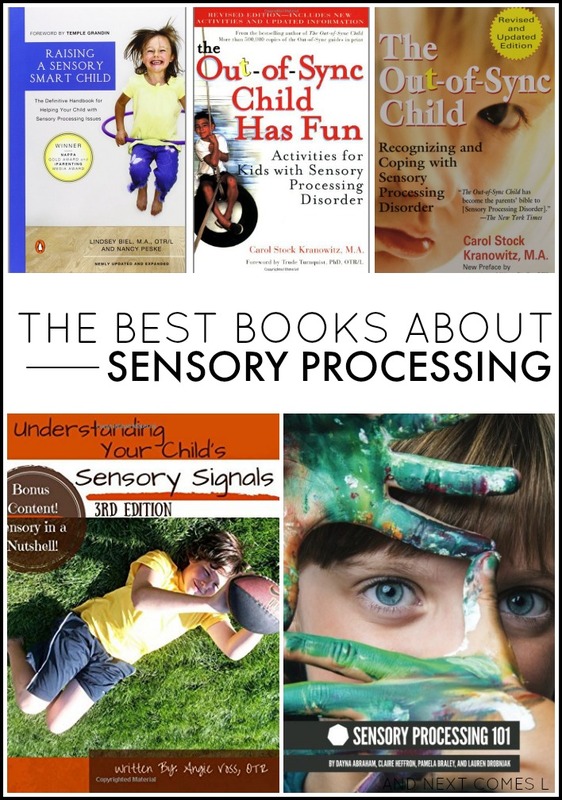 Understanding the different sensory systems is important if your child has autism or sensory issues, so here are the best books about sensory processing. 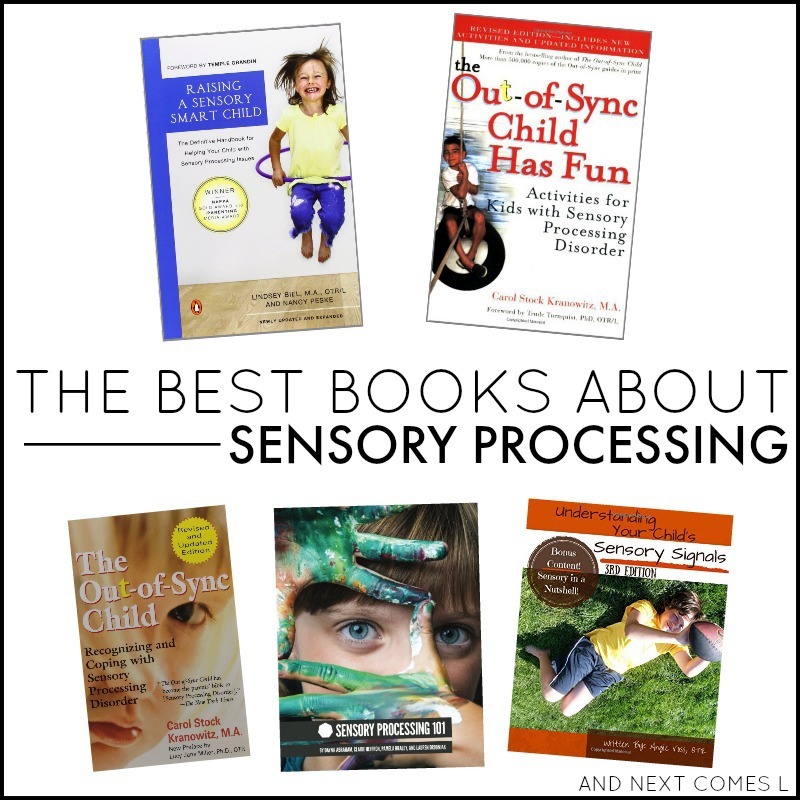 Please note that this list will be added to as I discover, read, and approve of new books about sensory processing. 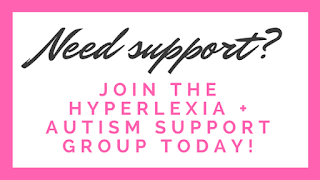 I have only shared those that I have personally read and that I have found helpful, interesting, and informative. 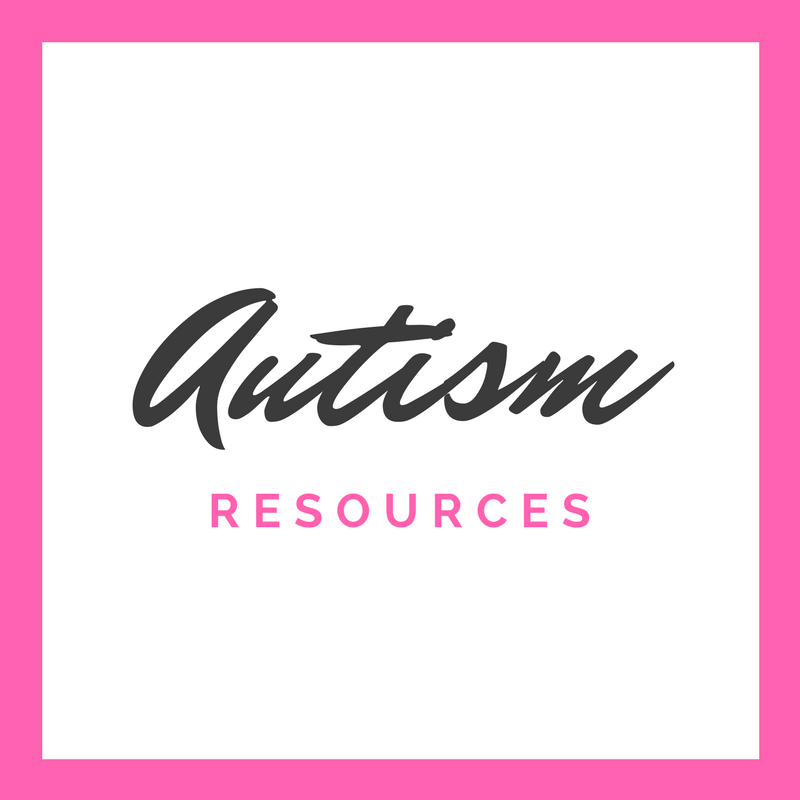 If you are looking for books about autism, then you'll want to check out my list of the best books about autism. 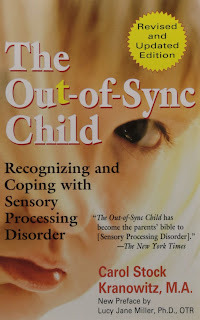 I first read this book nearly ten years ago when I used to nanny for a family with a boy who had sensory processing disorder. It was the first that I had heard about SPD so this book was definitely a great place to start. It is a thorough introduction of sensory processing issues with detailed descriptions about what to look for and how these issues can affect the different sensory systems. This book has lots of amazing activities to do with kids. 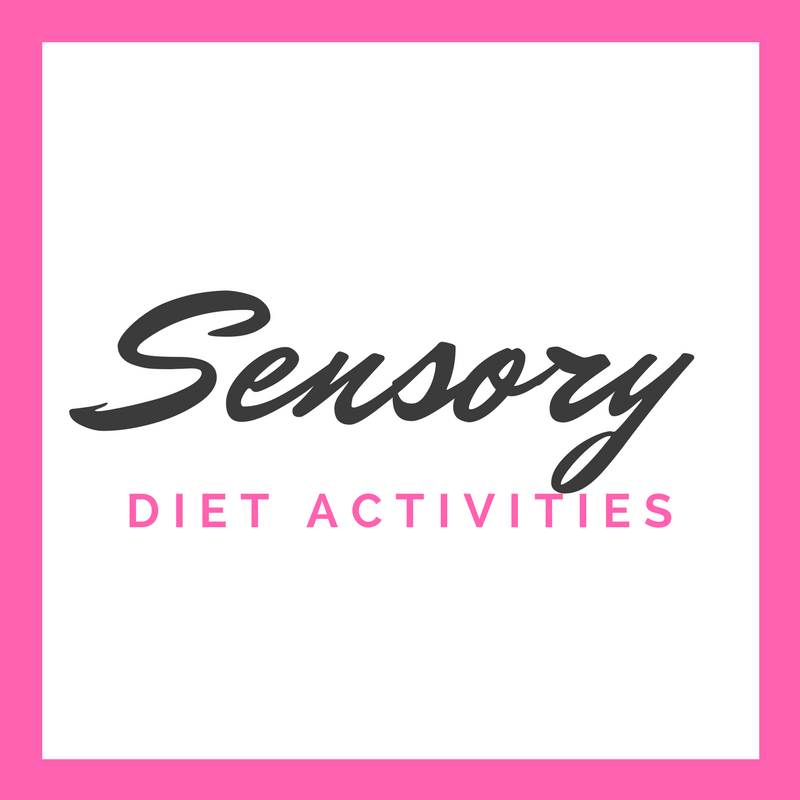 The activities are easy and practical and would benefit any child, not just those with sensory issues. 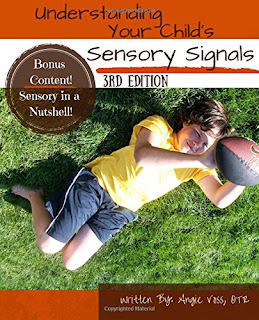 A great book to keep on hand when you need a quick sensory activity to do with your kids! This book is super thorough. It has so much useful information in it. 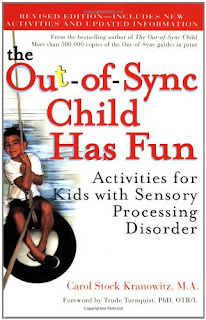 I think it's easily the best book to read about sensory processing disorder. This book has more fun activities to try with your kids. 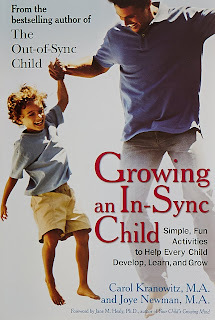 I like that every activity explains how it helps your child develop and grow. Our arrow jumping game was inspired by an activity in this book. 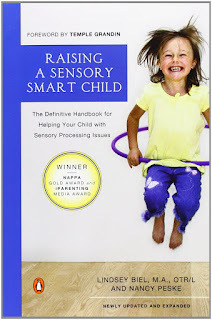 What I like about this book is that I can learn about certain sensory signals or triggers that my child may have. 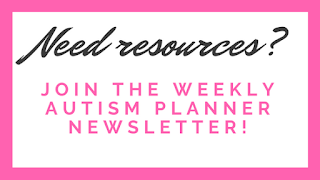 I simply look up the issue, such as "messy hands must be wiped off frequently during meals," and it gives me the reasons behind the behavior and ways to help my child with that specific sensory signal. 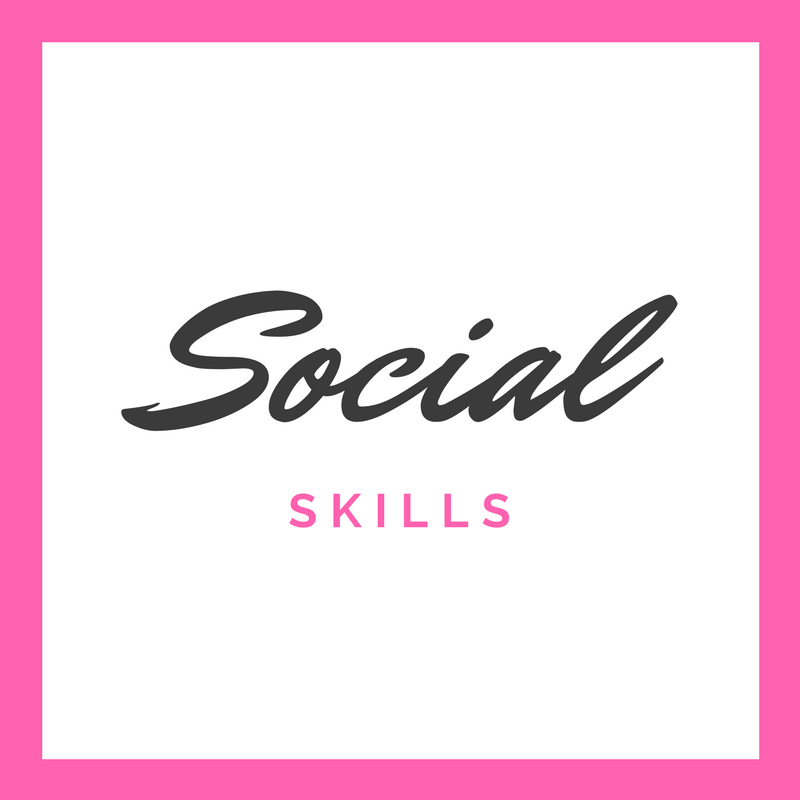 So it's a great resource if you have certain behaviors that your child needs help with and need some strategies to try. 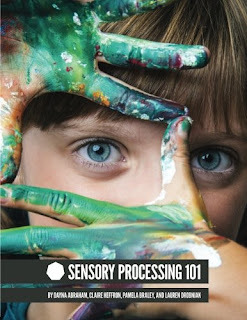 This book provides a good, basic introduction to sensory processing and the different sensory systems, but what I love most is the activities and cheat sheets at the end of the book. 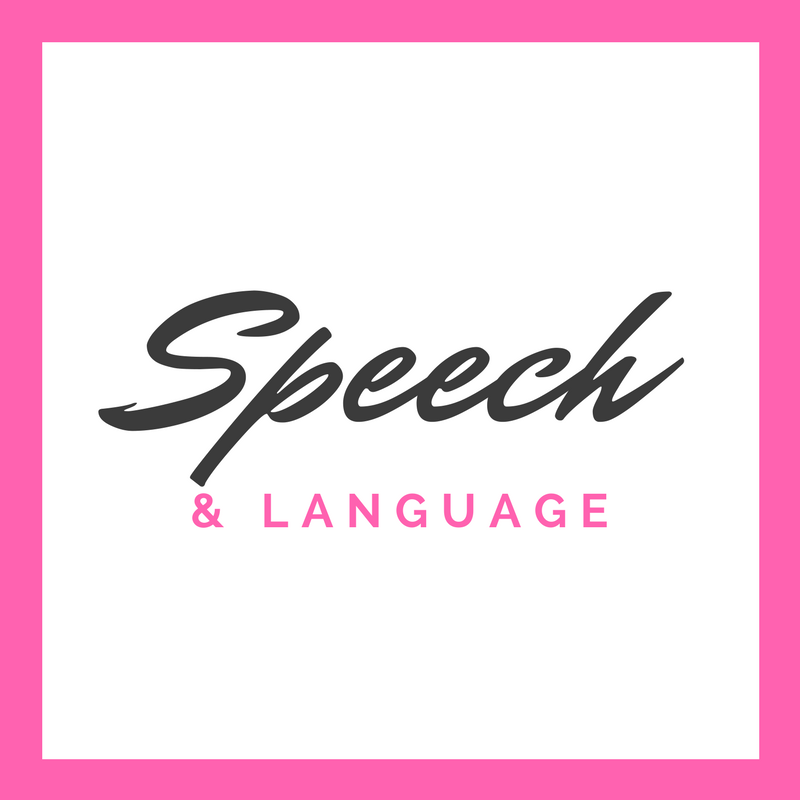 The activities are organized by sensory system and there are some creative suggestions. You can also get an eBook version of this book (there's also the option to get the first chapter for free!). I am currently reading the following selections so I cannot give my opinion on them. 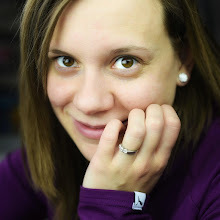 I thought I would list them in case you are interested in checking them out as well.